The significant theoretical objections that have been raised against memetics have not received adequate defense, even though there is ongoing empirical research in this field. In this paper I identify the key objections to memetics as a viable explanatory tool in studies of cultural evolution. I attempt to defuse these objections by arguing that they fail to show the absence of replication, high-fidelity copying, or lineages in the cultural domain. I further respond to meme critics by arguing that, despite competing explanations of cultural evolution, memetics has unique explanatory power. This is largely founded upon the increasing likelihood of formulating a workable fitness measure for memes, a memetic index. I conclude that memes must be integrated with psychological bias and population-dynamic approaches to cultural evolution. Castelfranchi C (2001) Towards a cognitive memetics: Socio-cognitive mechanisms for memes selection and spreading. Journal of Memetics— Evolutionary Models of Information Transmission 5. http://jom-emit.cfpm.org/2005/vol5/castelfranchi_b.html. Edmonds B (2005) The revealed poverty of the gene-meme analogy: Why memetics per se has failed to produce substantive results. 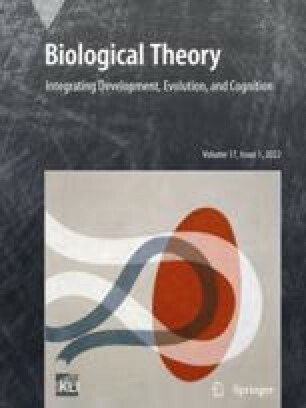 Journal of Memetics—Evolutionary Models of Information Transmission 9. http://jom-ermt.cfpm.org/2005/vol9/edmonds_b.html. Hale-Evans R (1995) Memetics: A systems metabiology. Working Report. http://ron.ludism.org/memetics.html.